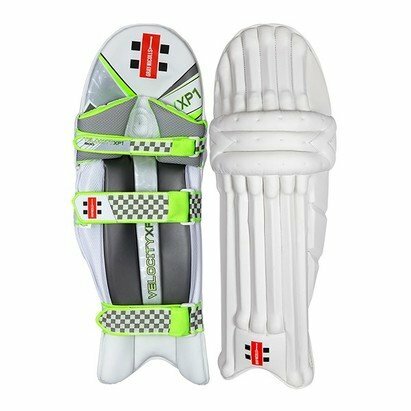 The Velocity XP1 range of batting pads offers a traditional cane construction with lightweight HDF (High Density Foam) to give ultimate shock absorption. Lightweight 20mm high density foam and cane construction for ultimate shock absorption. Pre Moulded knee cup with additional protective inserts in bolsters and 30mm thick wings provides extra protection. 2 inch padded straps and padded buckle for stability and superior fit and comfort.